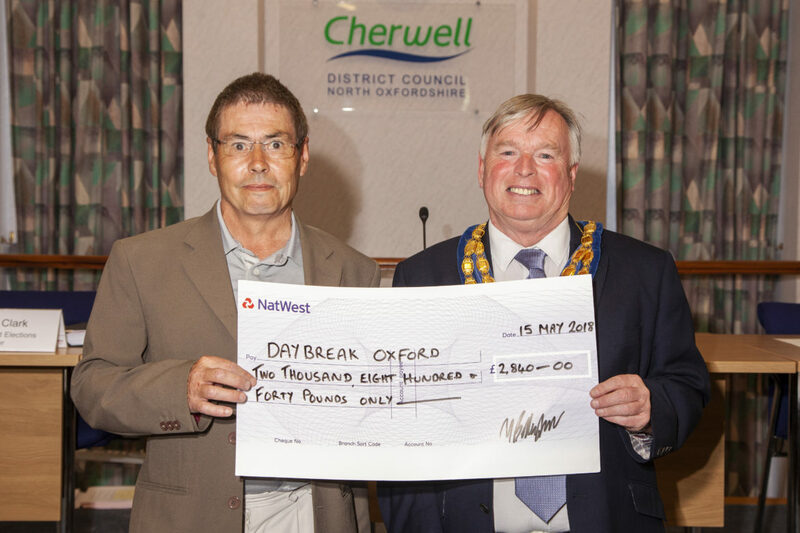 Our Director, Andy Buckland, was delighted to receive a cheque from Councillor Maurice Billington, Chairman of Cherwell District Council for £2,954.00. Councillor Billington supported three local charities during his term of office in 2017/18 and Daybreak was very fortunate to be chosen as one of them. This wonderful donation has been enhanced by an additiona £1,000 of matched funding from Barclays Bank plc. Everyone at Daybreak is very grateful to Councillor Billington for choosing to support us.